MIRI: The minority Jatti Meirek ethnic group is hoping that a member of their community would be nominated as a Barisan Nasional (BN) candidate in the next state election. Persatuan Bakong, Dalik, Meriek Sarawak (Badami) member Hasnan Ahmad hoped that Chief Minister Datuk Patinggi Tan Sri Adenan Satem would fulfil the request as the community has long been supporting BN. “We don’t want the Jatti Meriek to be left out of state politics,” he told The Borneo Post yesterday. Acocording to him, that there are some 50,000 Jatti Meriek living here, in Sibuti, Niah, Bakong and Marudi. “We want the present BN government to give an opportunity to the Jatti Meirek to have a representative in the State Legislative Assembly. 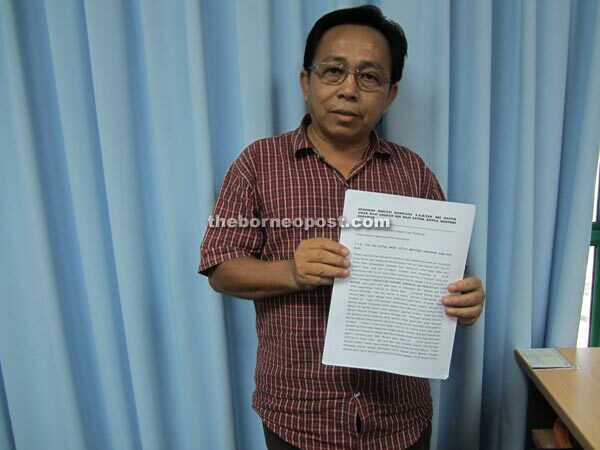 “The Jatti Meirek, who were among the earliest settlers in Miri, were where Miri got its name, but so far we don’t have any elected representative,” said the veteran Parti Pesaka Bumiputera Bersatu (PBB) member. He said the highest leadership positions held by Jatti Meirek had so far been a senator and a temenggong, but at present there is none. According to Hasnan, the Orang Ulu, Bidayuh and Kedayan communities all have representatives in leadership positions. Political observer Abdul Malik agreed that it would be a progressive move if the next lineup of BN candidates could include a Jatti Meirek to truly represent the state’s diverse ethnic make-up.